Are you interested in learning about joy, growth, self-esteem and stress reduction in a group setting? 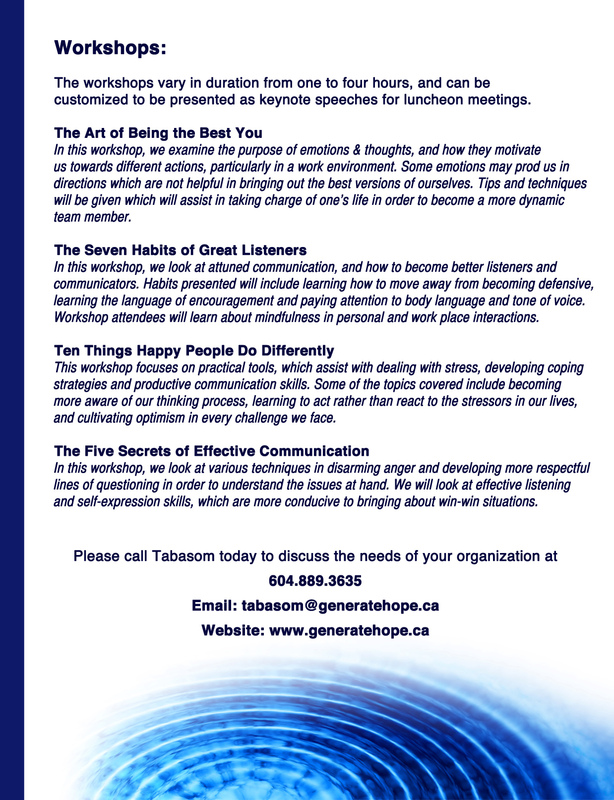 Tabasom has over 25 years of experience in running workshops and public speaking at private and corporate functions. The workshops are customized with your needs in mind, and are a fun way of developing interpersonal skills, creating mutual respect and building strong teams. Tabasom has also presented at various functions on Grief and Loss, Anxiety, Depression and Anger. 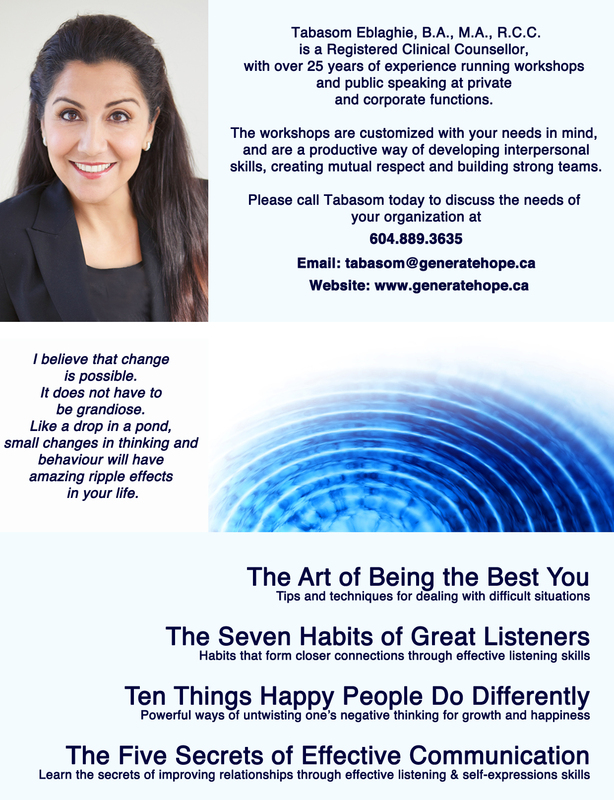 Please call Tabasom today to discuss whether any of the above topics would be beneficial for you and your company at 604.889.3635. She is available for hire for public speaking or workshops across North America, and the fees vary depending on topic, size of the group and duration of the event.